While I was back in the States, first planning my trip to move here, until I began my online research I really didn’t know ANYTHING about the Philippines. I had some general idea that it was tropical. I knew there were islands and coconuts. But my general impression was that it was more or less like Gilligan’s Isle with an airport. So I began doing my Google searching, reading blogs and checking out photos. Little by little I began to see that in addition to the jungle areas not only did the Philippines have cool stuff like, electricity, they also had some major cities that rival Los Angeles and New York. Cebu and Manila in particular. And while much construction has gone on in the last 15 years with very modernized urban areas, I recall that even back in 1975 it was here that Muhammad Ali and Joe Frazier battled it out for the “Thrilla In Manila” at Araneta Coliseum. Even then the Philippines was able to host an event that turned out to be perhaps one of the greatest boxing matches of all time. The first mall I entered when I arrived on Mactan was the local Guisano Grand Mall. Nothing special, four floors with a grocery store, food court and the usual shops. 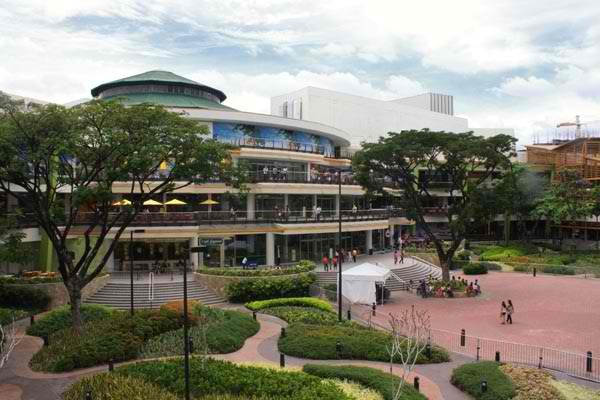 However, a month later I went to the Ayala Mall and passed by the Robinson’s Mall in central Cebu and.. wow! These two malls were MUCH larger, up to five levels, about six city blocks large, nicely designed and surpassed any mall I’d been to in Southern California. I’ve yet to visit some of the other Super Malls in the area but from all that I’ve heard they even surpass these two malls. State of the art movie theaters, countless places to eat from simple to upper-scale dining as well as many American food franchises such as Krispy Kreme, Starbucks, KFC, McDonald’s.. too many to list. High-end clothing stores, jewelry, computers, kid’s activities, indoor-sim roller-coaster.. it made the Ontario Mills mall seem like a strip mall by comparison. I usually go to the big malls to catch a movie at the multi-movie-plex and always get lots of exercise exploring the malls. Often there is some kind of entertainment going on at one of the public stages.. bands, singers, dance competitions.. always something new going on. 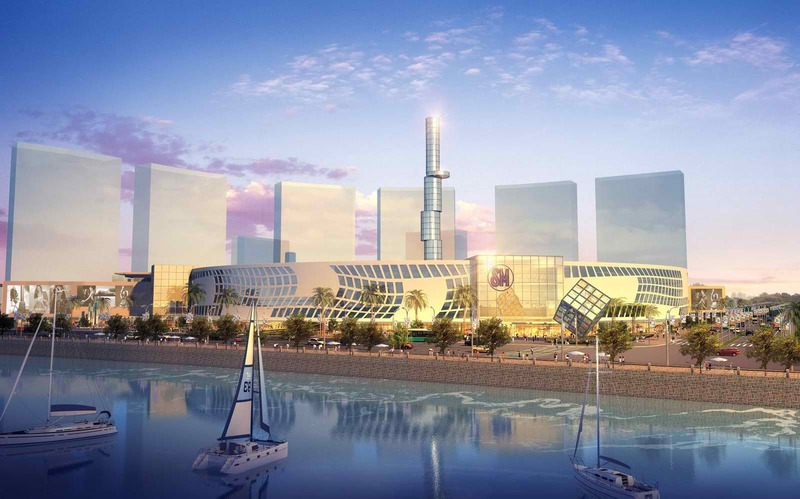 Currently under construction is the SM Seaside City Mall.. designed to be about the largest mall in this part of Asia, almost a mini-city within itself built along the coast. So.. while there are some areas of the islands that are pristine, green jungle and white sandy beaches, the modern comforts of beautifully designed air-conditioned Super Malls are not usually more than a cab ride away in Cebu. Hi Henry, I’m from Dhaka, Bangladesh. I’ve long been planning to visit Cebu. And to this end, I studied many blog posts especially on LiP. Recently I came to learn about your blog through a post of yours on LiP. I like your articles for a number of reasons: high literary value, non marketing oriented approach, positive attitude, and finally insider’s accounts of the city I’m planning to travel. Glad to hear you’re enjoying the site and finding it useful, if not a bit entertaining at the same time. Yes, I’ll email you with my contact info, just let me know about a week in advance of your trip so I’ll know to be here. See you then! Yes, I’ve just sent you a private email.. we can meet at SM Mall in Cebu.. it is central to most of the city and all the taxis know how to get there.